Learn to Sight Read: Piano books - a multi-media 'triumph'! 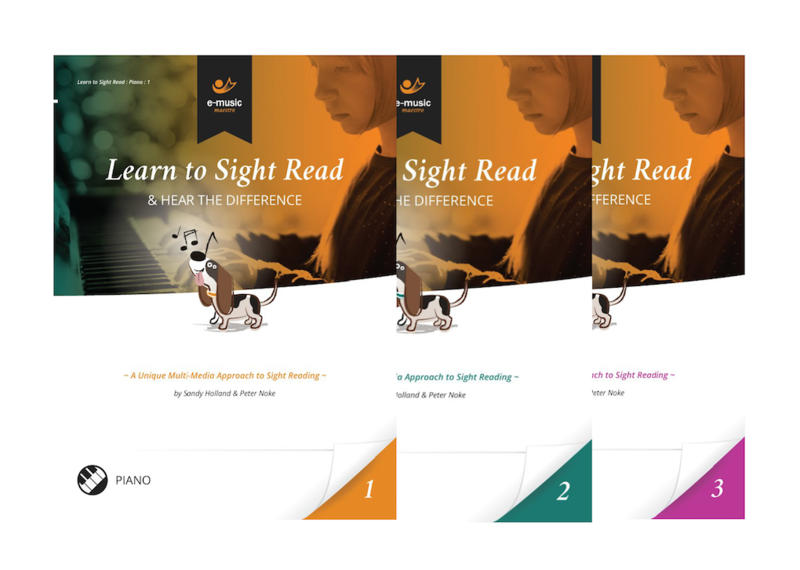 We first published Learn to Sight Read: Piano as an online programme with helpful recordings for each of the hundred pieces per grade. Writing the pieces was the fun part (I admit to making up some of them sitting on the terrace in France! ), including inventing titles that sound like the rhythms. Then piano teachers suggested we published a book format too, with tips on sight reading, and we agreed that this was a good idea. The amount of work that goes into creating a hard-copy music education publication was previously unimaginable! We now needed a book design; Kev Adamson, our web designer made a great job of this for us. Sibelius scores are only just the beginning of the intricate job of preparing for printing and Peter (Noke) extended his skills still further in this direction! We needed a publisher, a printing company and a distributor and I'd like to thank Elena Cobb for talking through these with me. Eventually, we decided, since we already have a presence in the music 'market place', to start our own publishing company, E-MusicMaestroPublishing Limited and we secured an agreement with Alfred Music/Faber for worldwide distribution. …. in order to impress me, a sight reading resource needs to be something special. Well congratulations Sandy Holland and Peter Noke, I am impressed! You can read the full review here and buy books 1 - 3 here. Postage is free over £20 in the UK and teachers get a discount for studio packs. Books 4 and 5 are nearly ready for publication so look out for these!